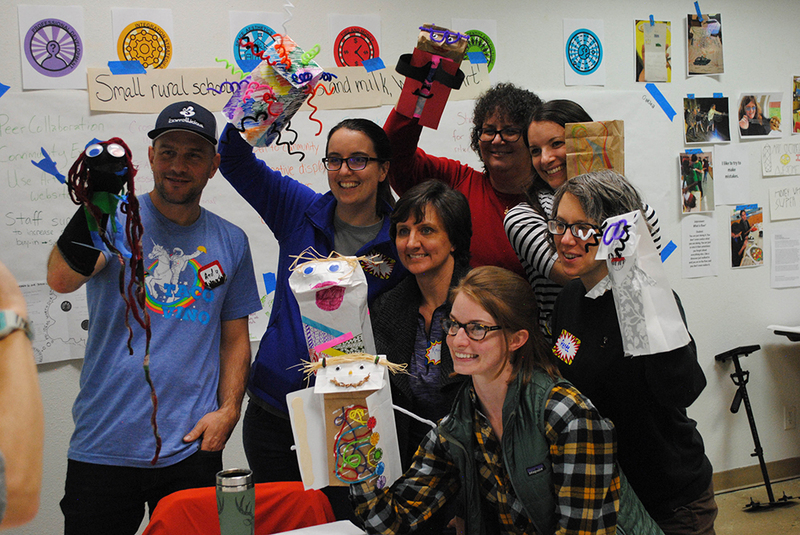 The creative energy of the 38 teachers who attended ArtCore’s Winter Institute (WI) in February 2018 has become new fuel for integrated learning at each of the five schools. 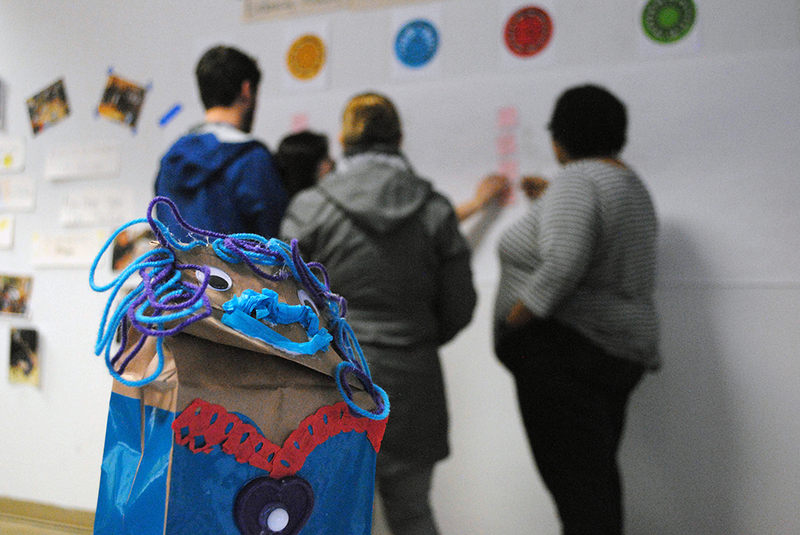 When asked why this work matters—to themselves, their students, their communities, and the world—WI participants’ responses articulated the many ways learning through the arts breathes life into their professional practice, their schools, and beyond. 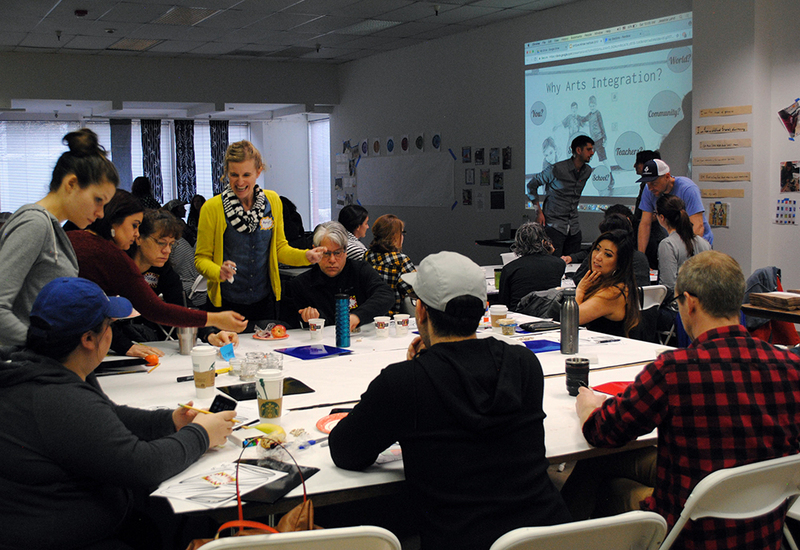 While each school has its unique needs, limitations, and assets, participants from across schools agree that arts-integrated work is fundamental to their learners’ growth as whole humans. Throughout the morning, they created an audioscape of their reasons for doing this work. Hear their voices here in this audio clip, or read selections at the bottom of this page. 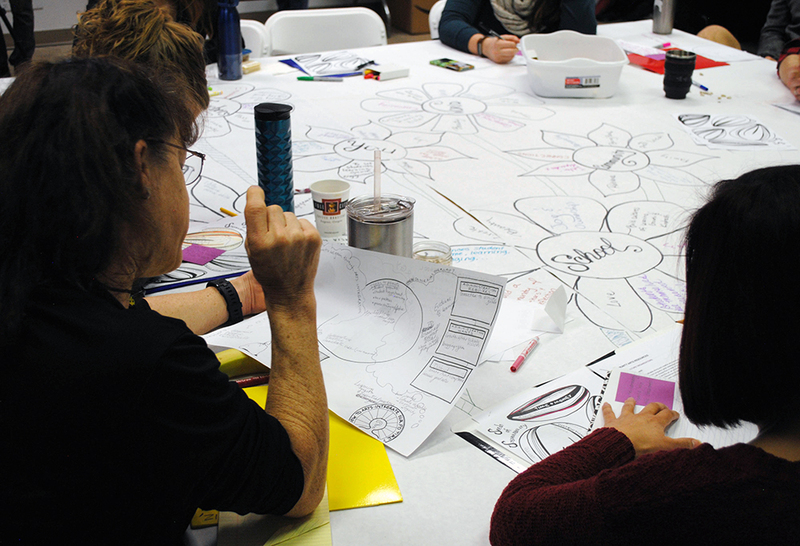 All day, teachers journeyed through a dynamic, multi-media design process that was analytical, reflective, imaginative, visionary, empowering, challenging and, ultimately, inspiring and rejuvenating. With the Oregon Contemporary Theater as our workspace, theater metaphors set the stage for a shift in focus from the work of the past three years—now referred to as “Act I”—to the next eight months and beyond: “Acts II & III”. 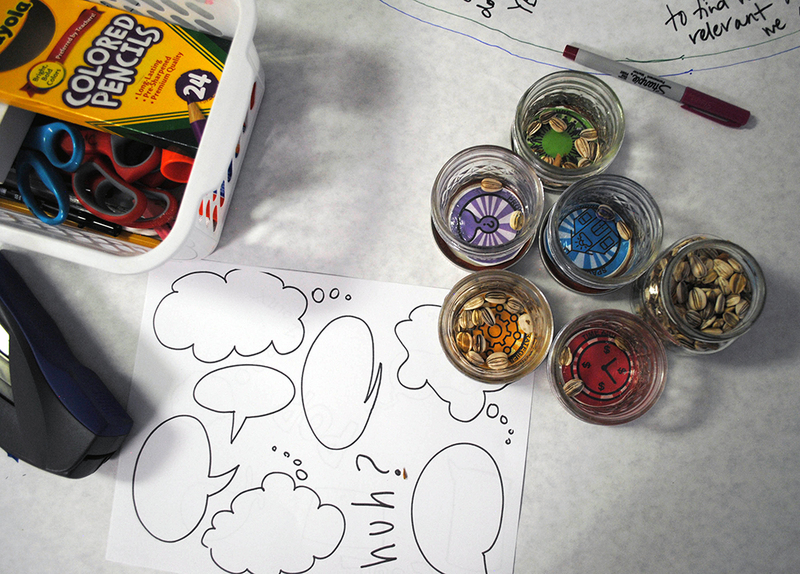 Throughout the day, each school team identified the particular ways these resources can be leveraged to support arts integration at their school. 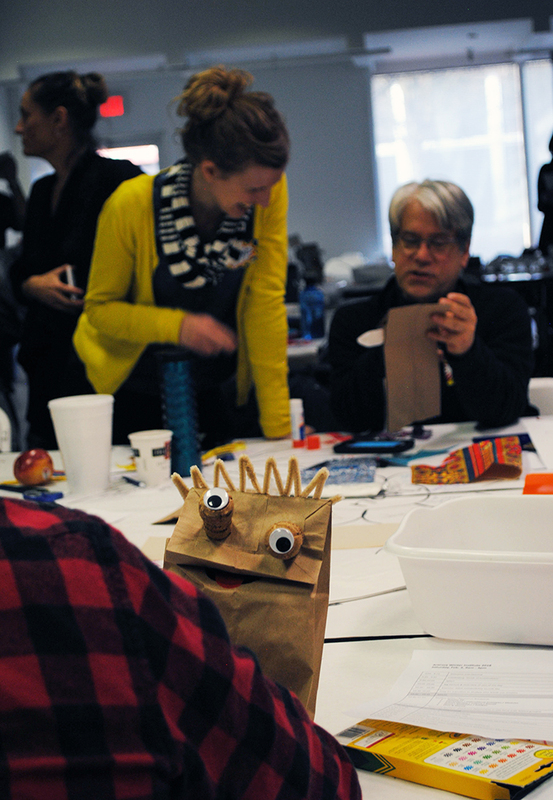 Participants added themselves to this list after a visual arts exploration that asked each person to make a hand-puppet that represented his or her creative self. 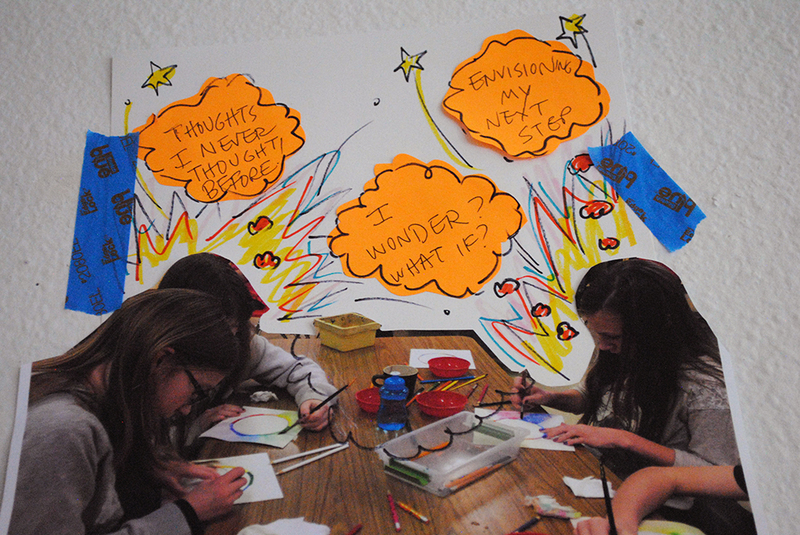 During this exercise teachers were encouraged to own their creativity and to view themselves as artists of pedagogy. They identified mindsets and strengths that people sometimes don’t directly associate with creativity such as being flexible, reflective, risk-taking, and having a sense of humor. Oaklea M.S. 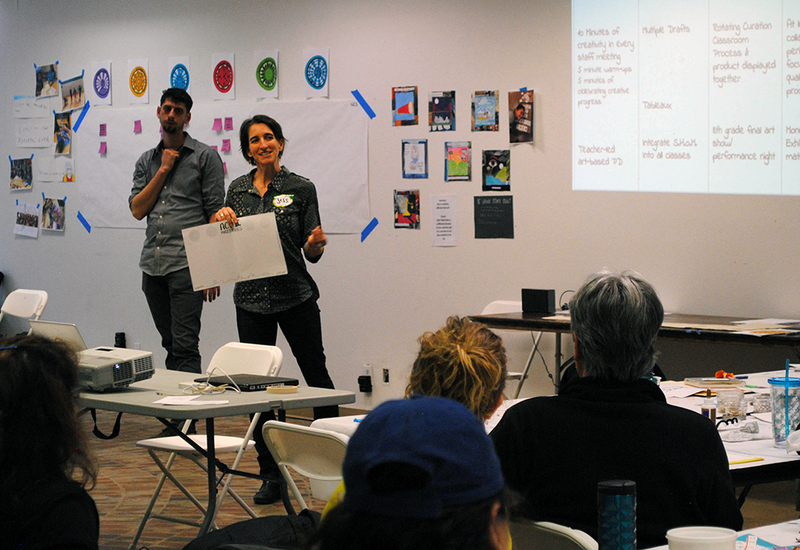 teachers recommitted to defining their school culture in terms of the arts and Studio Habits of Mind. 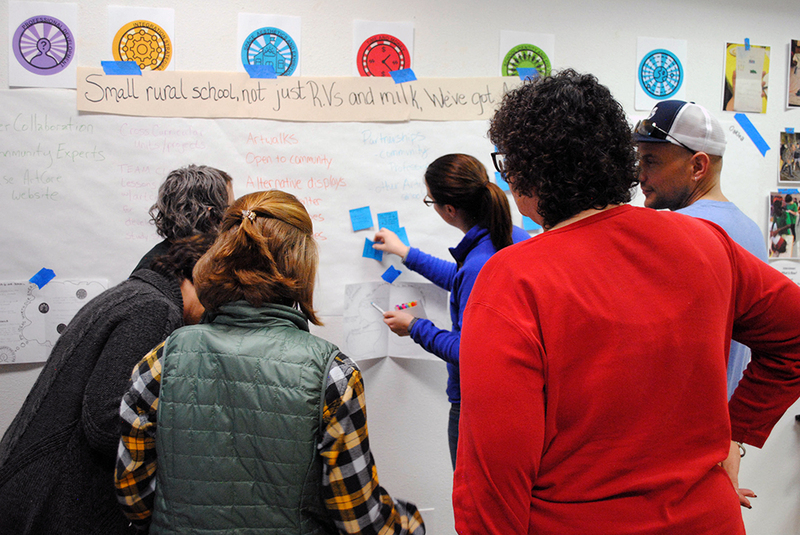 Their headline reads: Small rural school, not just RVs and milk, We’ve got Art. Hamlin M.S. has committed to STEAM and sees the potential of arts integration to reach students across content areas. Their headline was Defining STEAM: Cross-curricular units bring community together. At the end of the day, when everyone gathered in the theater to hear the audioscape of their Why’s, the group shifted from from creators to audience. As they sat in audience with their own voices, the power of the work became audible. And when the participants of the Winter Institute left the theater, they carried this authentic and integrated work with them.